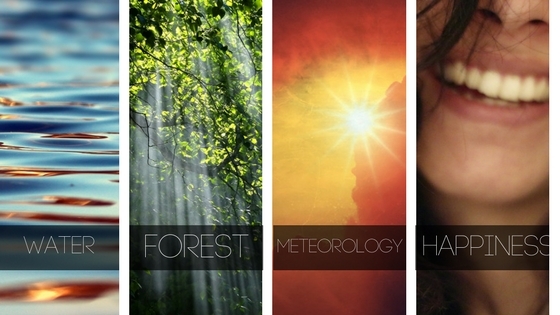 Submit Your Sweek Story to a New Writing Project that Focuses on Water, Forest, Meteorology and Happiness! Hi dear Sweekers! Here is some exciting news! As some of you guys are already aware, I organized two writing projects in January and February focusing on International Holocaust Remembrance Day and International Mother Language Day. They were very successful and won many hearts of Sweek authors and readers alike. And I’m back with another project! On behalf of you all, I am going to organize a big writing project during the first half of March! Even as you are reading this, I am out looking for great and exciting stories that have been written in English by you people – stories that so far eluded many enthusiastic readers and hence didn’t achieve due recognition within the Sweek community. I will read carefully each and every story that I will receive from you and after selecting the best ones I will include it in a promotional video through Youtube! If the need arises, I will design each of you a really impressive and beautiful book cover, also! Here are two promotional videos I did previously! This time YOU are going to be in it! Check it here and here. In addition, your book would be promoted through my personal blog. Here are my previous posts that you can refer in my private blogger site about the two projects I previously launched through Sweek.com! If this project turns out to be a hit, your book will be considered to be mentioned in a Sweek’s official blog post too, be featured on Sweek’s Hall of Fame itself and also on its Social Media channels! Awesome, right? Do you think I am kidding? See what happened in January and February! So here is what you are going to do! Email a word document of the story to writesupp@gmail.com for careful scrutiny of the story and for editing, if needed. If possible, attach a JPEG image of the book cover too (600×900 px, less than 2MB). This is optional. Remember that the images should be free for commercial use (here are some tips how to create your story cover). Each Sweeker can submit only one story to this project. By submitting, you grant the right to the project coordinator to edit and enhance your story as deemed suitable. Because of the sheer volume of entries your emails may not be individually acknowledged. But if your story is selected you would be duly notified. The story should not exceed 2,000 words. Minimum word count is 500. No poetry is accepted. Sweek will be organizing a special contest on poetry which you will be informed through a separate post. Plagiarized content will not be tolerated. Book covers and images used to design book covers have to be free for commercial use. No misuse of copyrighted material! Only stories that were not previously published on other sites or in magazines will be accepted. All the elements need not be present in your story. Presence of one element is enough. Mentioning of a particular element as a word in a sentence is not enough. The story should ‘revolve’ around that element making it a crucial factor in the story plot. Once a certain number of stories are received, acceptance of further entries will be automatically stopped. No gifts will be awarded to the entries. But they will be considered to be featured in a promotional video and / or a blog post as decided by the project coordinator. Depending on the popularity of the writing project you may be asked to further develop your story. Confused? No worries! Visit writesupport.wordpress.com and drop me a hello! Great initiative. I am honored to be part of Holocaust series. Keep sweeking, keep rocking. It's a great honour and pleasure to be part of this project with an important message that concerns us all. Thank you Chinthaka for this wonderful idea and the great organization. Gigi you are a true friend. You have been following my work very closely ever since the Water Day Writing project. You also left a nice and appreciative comment in my latest promo video on World Asteroid Day. Thanks again dear. It is a pleasure to work with you. Hope you will make your way to my second e-book based on my writing projects! Hi John, you wrote 'Colorless Honey - The Kaveri'. Superb and splendid Nature based Solution (NbS) - preventing Algal Bloom. Keep it up! Hi, has the deadline for this passed? Hi Rima, yes dear. This project is now over. Join the current one on World Asteroid Day. But you have got to hurry. Only 8 days left.